A lifestyle, fashion and beauty blog. 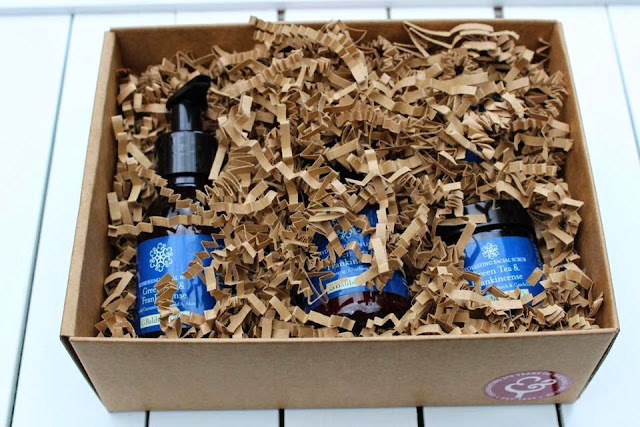 Today I want to share a lovely skincare giftbox* that would make a great gift this Father's Day or for any occasion really where you want to have a pamper treat for a man in your life. Baldwins were kind enough to send me a sample set to share with you guys and here are my thoughts! First of all, I like the packaging, the brown box and Baldwins ribbon is simple but looks expensive and luxurious. Inside the box it is packed with padding to make sure the goodies arrive all good and well. I had a cheeky sniff of the scrub before I handed the box over to my dad as an early present, and it smelt divine, really fresh and invigorating. I think the set is a really good gift idea, it's a reasonable price and the products go really well with each other as a skincare routine. If you would like to check out the range at Baldwins, head on over to their website which is http://www.baldwins.co.uk/ for a nosey around as they have some great options. Thanks for reading, I hope you found this a helpful suggestion. Driving Theory - Need to Knows! © The Human Mannequin. All rights reserved.